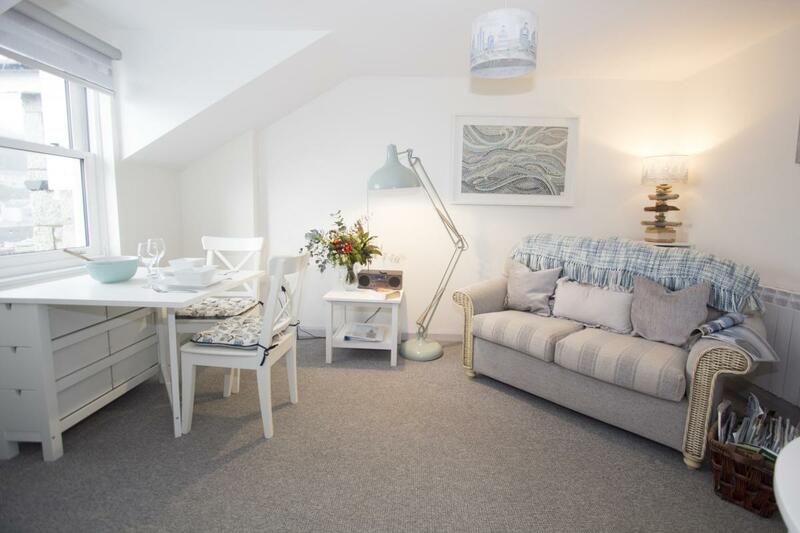 Beautifully re-furbished apartment overlooking the historic harbour. 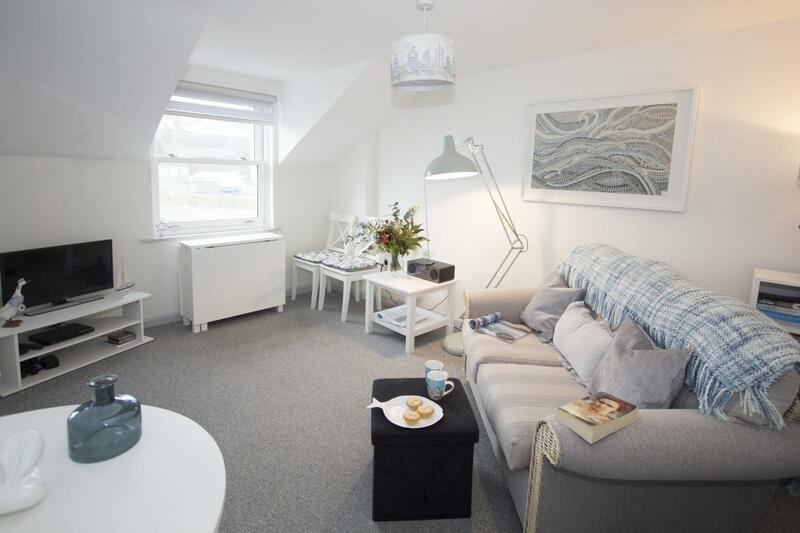 This contemporary first floor apartment has recently been renovated and beautifully decorated with a pastel seaside theme. 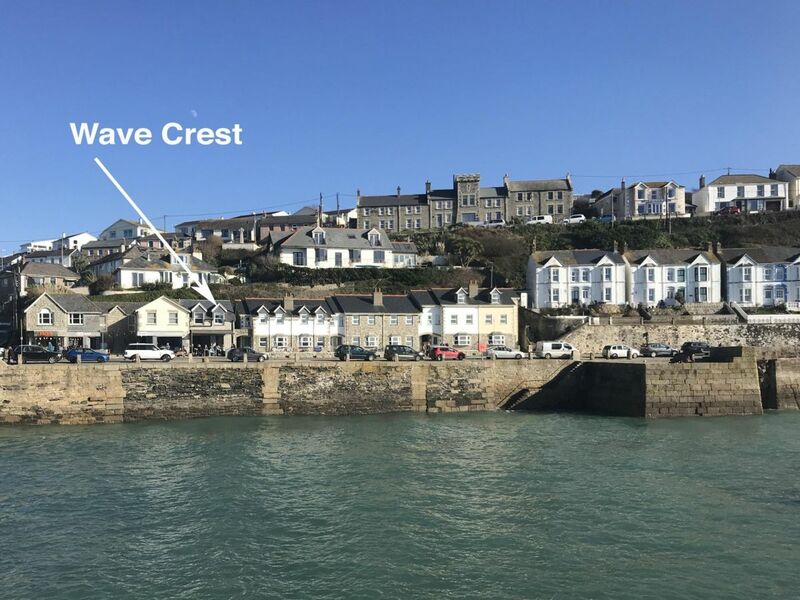 It is situated in an enviable harbourside location providing a very comfortable and relaxing base for your holiday in Porthleven. 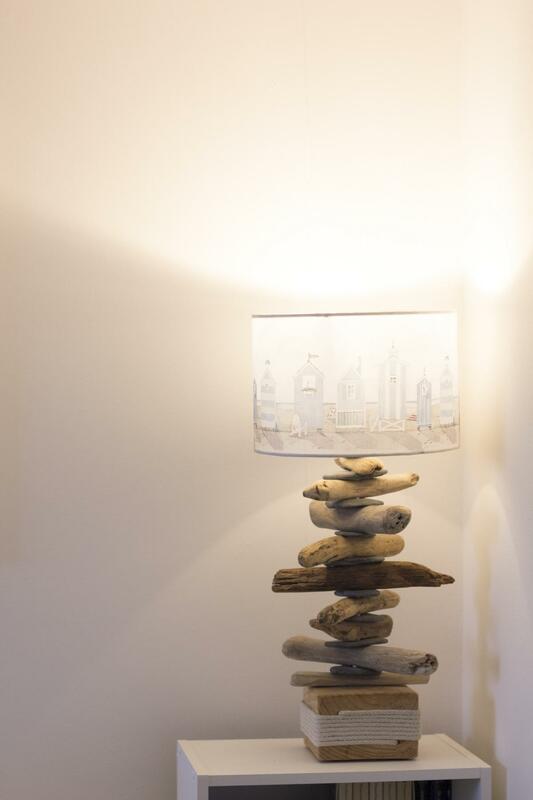 The apartment offers a living/dining room, double bedroom and bathroom with shower. The new stylish kitchen has a mesmerising view when stood at the kitchen sink, looking out across the outer harbour and into Mounts Bay. 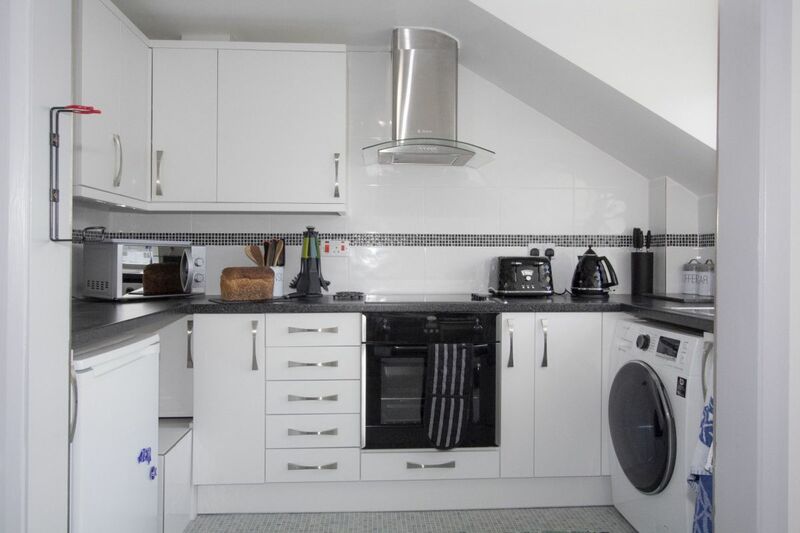 Along with the view, the kitchen has a washer/drier, oven, hob, fridge and microwave. 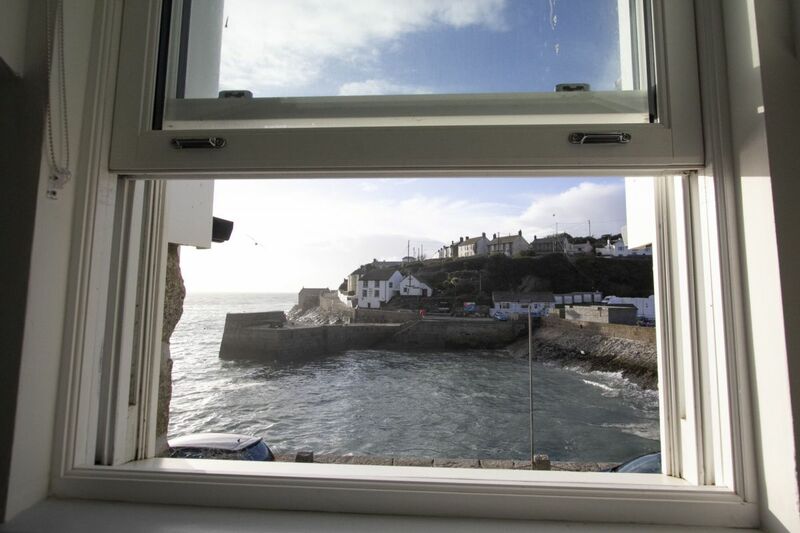 The living room window offers the same delightful views over the harbour. 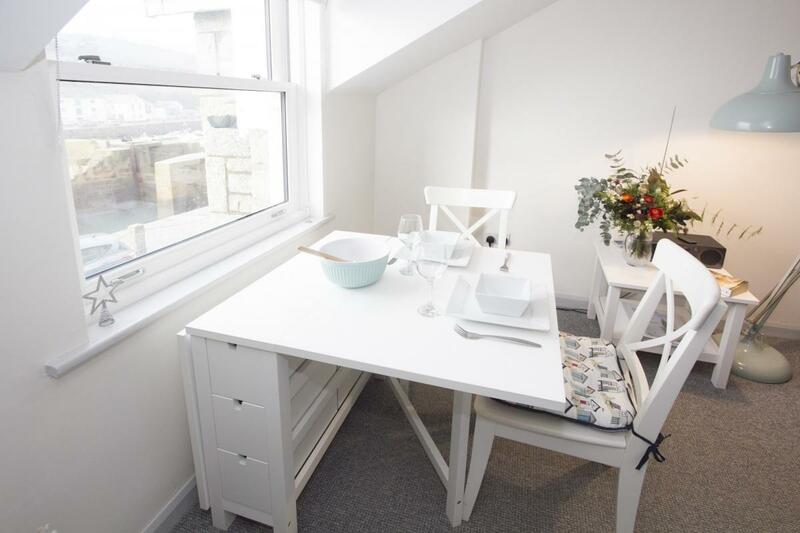 The foldout table, next to the window is the perfect place for breakfast for two in the sunshine! 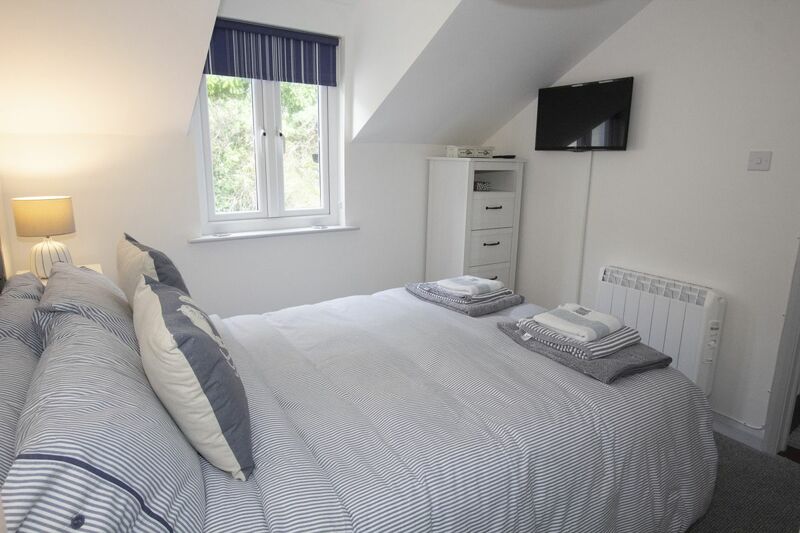 The double bedroom has plenty of storage and the new bathroom offers a walk in shower and large heated towel rail. Wavecrest is lovingly equipped with everything you could need, even down to shoe cleaning kit, sewing kit and first aid kit. There are Freesat TVs installed in both the lounge and bedroom. The double glazed windows and modern slimline electric radiators will keep you very warm and cosy all year round. In your welcome pack you can expect a bottle of Prosecco, flowers and a few lovely local goodies. Wavecrest is above the Nauti-but-Ice cafe on the sunnier side of the harbour and has a dedicated parking space. 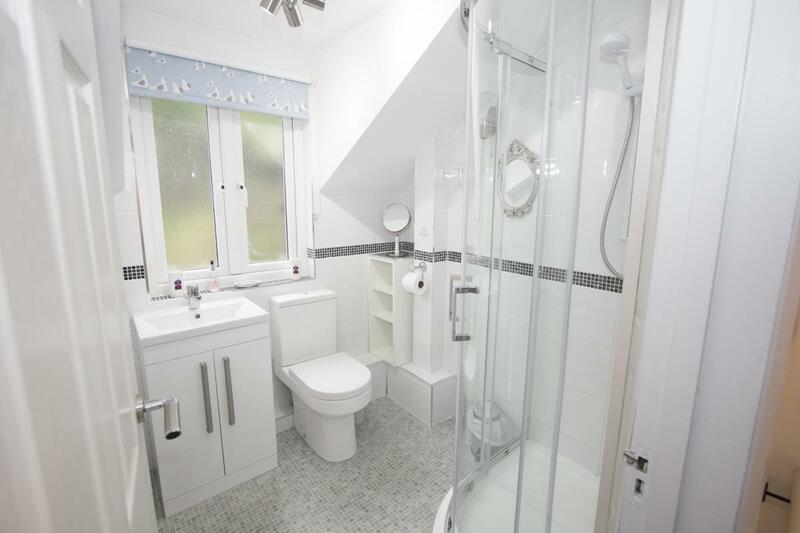 Please note: The property is perfectly suited for 2 people, but not for young children. 1 small dog is welcome. Bed linen and towels / Hairdryer / Linen and towel refresh for two-week breaks. 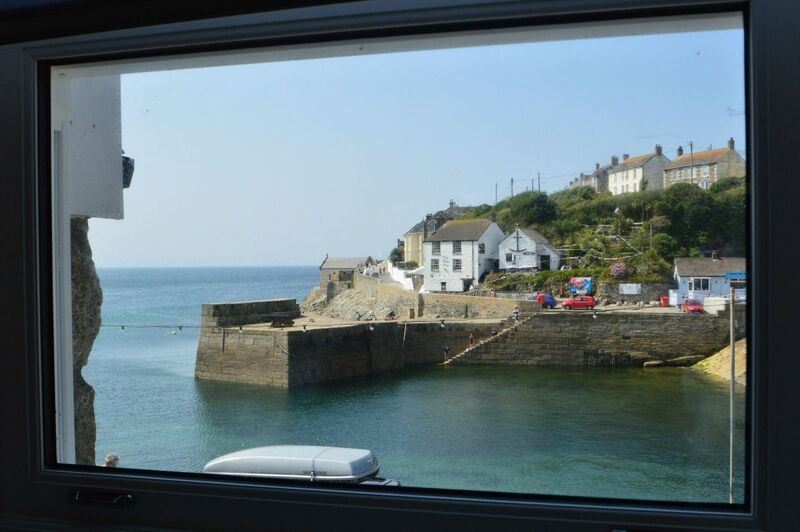 We had a lovely week, we always enjoy coming to Porthleven, this was probably one of our best times. A lovely flat, very comfortable with lots of equipment. Our first time in Wavecrest and it won't be the last. Enjoyed our stay at Wavecrest for the second year running, it felt like our second home.You cannot put a price on having the sounds and sights of the sea outside your window. I visited Porthleven last year, just for the day and decided I would come back and stay longer. So glad we did as it is a lovely place and the icing on the cake is without a doubt Wavecrest - a real "home from home" Thank you Trish and Roger. Fantastic, Brilliant - we will be back Thank you for a wonderful holiday. A wonderful week spent at Wavecrest which had absolutely everything you would need. The location was wonderful. "The attention to detail is exceptional - everywhere one looks there is something to delight the eye and the views aren't bad either! We will be back to this little sanctuary. Well done Trish!" We've been to Porthleven (and stayed) many many times before but never in such a beautiful place as this. Absolute slice of heaven!! We will definitely return to Wavecrest - very sad to be leaving. Thanks for a wonderful stay Trish! 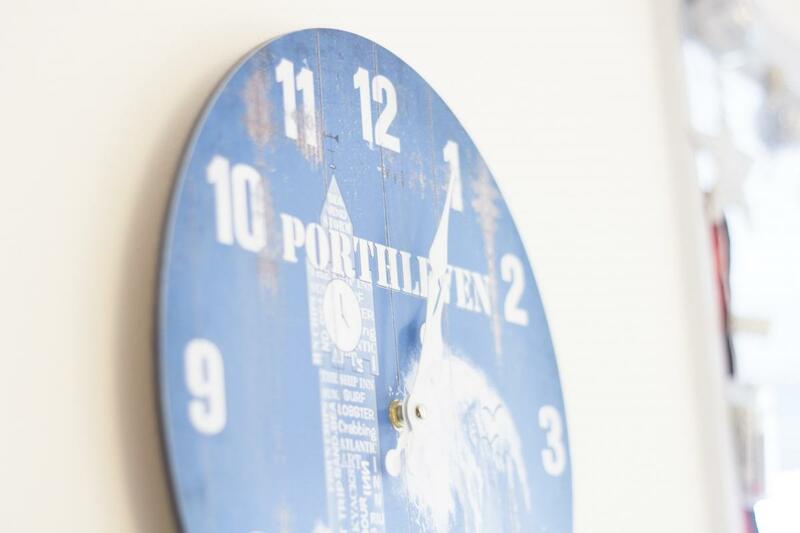 We have been holidaying in Porthleven since the 1990's and this cute little apartment tops all. Brilliant hol, thank you Trish. So very clean and comfortable, will be back soon. Wavecrest is idealic. Lovely setting, beautiful apartment. Thank you Trish, apartment is a credit to you & classic taste in presentation. Perfect! Another very enjoyable week in Porthleven. ~The apartment was immaculate, comfy, well equipped and spotless. The views out the front were a lovely bonus. Another relaxing stay at Wavecrest. The view out the window cannot be beaten. Thanks for great clean place to stay, one of the best views, We will be back next year! Thank you for the treats. The apartment is very comfortable, clean and "excellent". 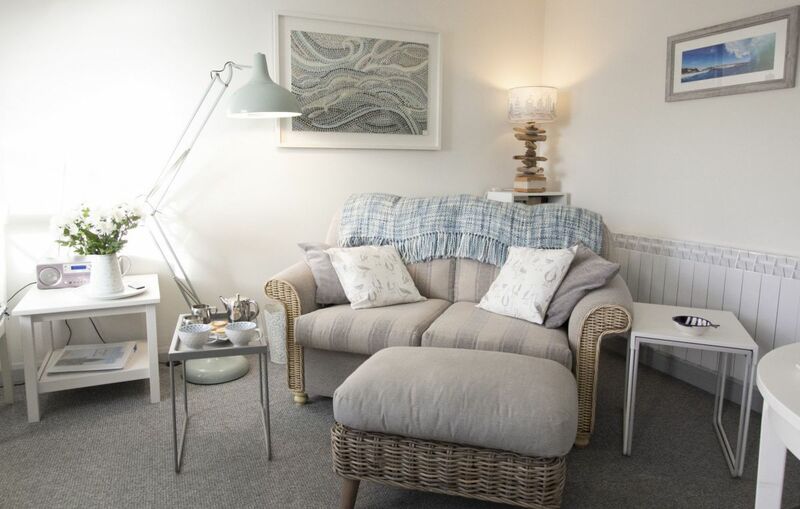 A cosy and comfortable retreat for two - 5*. Trish you are very generous with your treats, thank you. This is the best, everything you need and more is here. Cleanliness is excellent. Well! what can we say about Wavecrest, it has everything we needed (home from home). Very clean, warm and comfortable. Thanks Trish and your team. 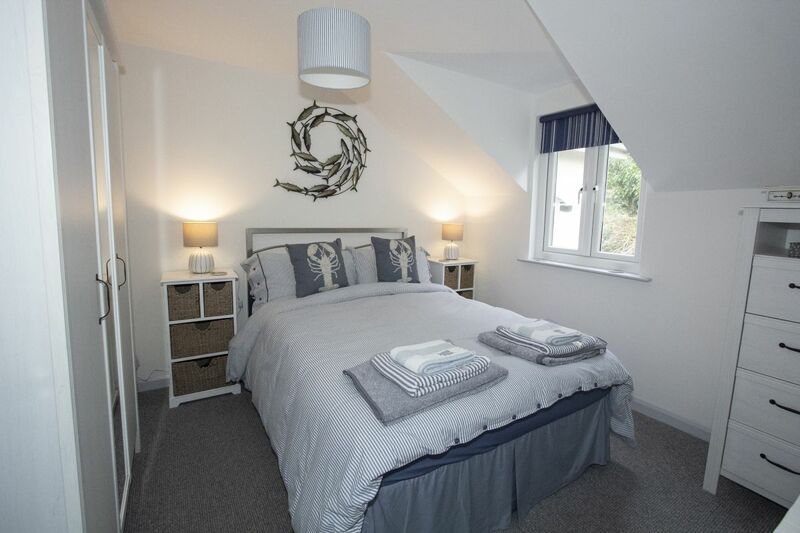 What a little gem set in the heart of a beautiful little fishing village. We have had a lovely restful holiday in a tasteful flat with everything we could want. Thanks for little extras too! This apartment is so beautiful we never want to leave. You have a wonderful team who keeps it spotless and lovely personal touches. Thank you Trish for a wonderful apartment.